Hidden among the plants and bowl in foreground, is a patio table and chair. It was a challenge to get through the foliage and find the path. As usual I love the movement! What materials are you using? Seriously simple materials. 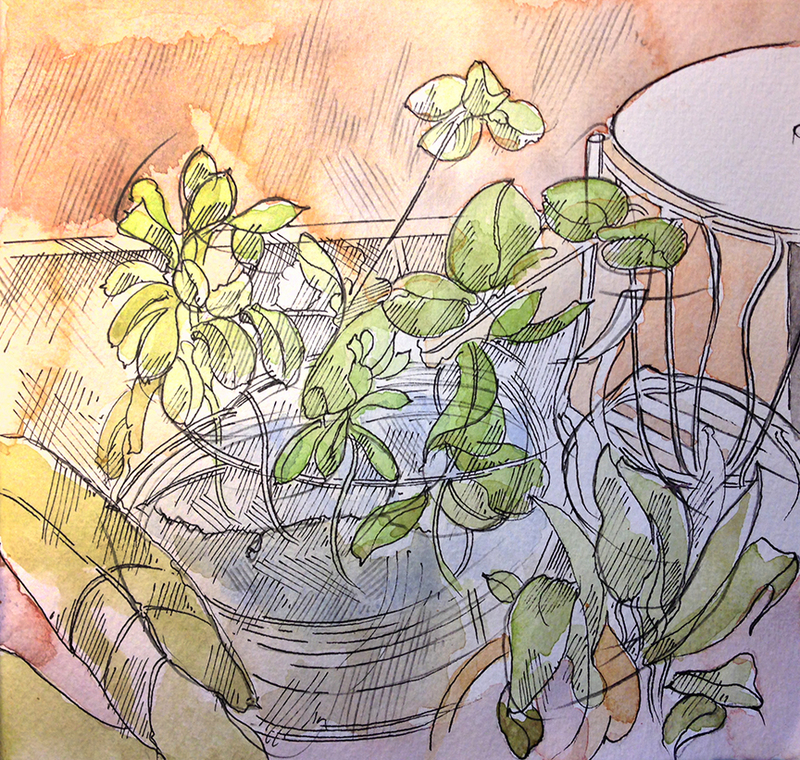 Sketchbook, palette of 10 colors, water brushes, prisms color and pencil. You rock me! Thanks for all your comments. And thank you just the same, Sir.